Bare with me, I'm extremely shy about blogging online. I just had a crazy experience. I've been looking at this crazy Semafor for about 2 years, I have been in some extreme frustration. Studied lots of squigly lines, then came back. My recent experieces is as thought I was staring at this chart and TRO (Like the Buddha) came up behind me pointed to the chart and said "That's a breakout" and I knew exactly what he meant, I realized how many hundreds and hundreds of opportunities I've missed out over the years. I plan on continuing my study with TRO, but realy the breakout trade is all I need to make alot of dough. He wasn't flying was he? Kidding, no need to be shy. Keep posting. Yea, crazy thing is I blew my small account just before this experience. I have like 6.52 in it. But I have a hope fund. Awhile back I started saving like 3 to 5 bucks every day for just this such an experience, so I can have some seed to start with. But it's gonna take 3 months to get to. So, I'm going to add a small amount on the 1st, and see what I can do with my 6 bucks. I'm going to figure out how to post charts between now and London open, my first trade was loser (Soooo what!!) 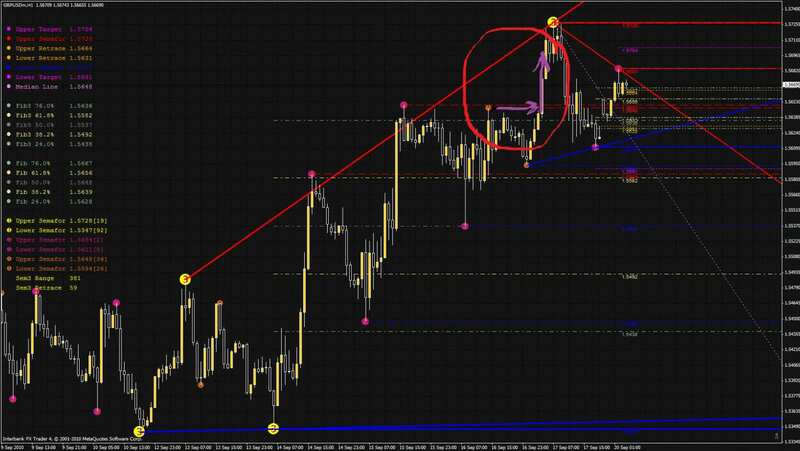 My second trade was a winner 20 pips. I'll probably only have time for one or two trades, gotta get some sleep for work. I live on the West Coast so I think London open is at midnight. See a semafor, look right, next time it goes through that level, take some pips. It works!! I had a good pic, but it's too big, I gotta figure out how to make it small. On tinypics web site, upload picture, then copy the IMG code and paste in the text of your message on kreslik. Your Awesome Humble Thank you. Here is basically what I'm doing, I didn't take this trade, but I would have it I had seen it at the time. I did however take the next long trade for 20 pips, you just can't see the semafor because it was pushed up as price made a new high.